w/Rude Boy George and more TBA! 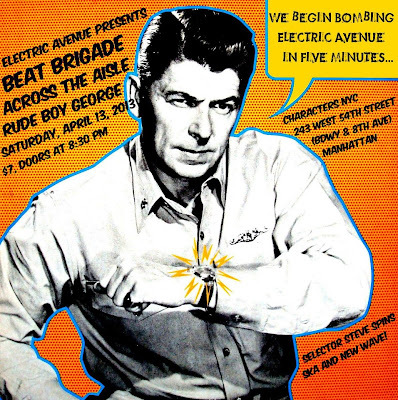 Duff Review: Beat Brigade, Across the Aisle, and Rude Boy George at Electric Avenue (at Characters NYC) on 4/13/13! For the purposes of full disclosure, I was in one of the bands--Rude Boy George--that performed recently at Electric Avenue at Characters NYC (and, as you know, help book the bands and run these monthly ska nights). So to avoid a complete conflict of interest, some portions of this post are going to be less of a review and more of a first person, experiential piece. In case you missed my post introducing Rude Boy George, we came together to do ska, rocksteady, and reggae covers of New Wave hits. RBG features Megg Howe (Across the Aisle) and Roger Apollon, Jr. (Bigger Thomas) on lead vocals; Spencer Katzman (Bigger Thomas) on guitar; Dave Barry (The Toasters/Beat Brigade) on keyboards; Marc Wasserman (Bigger Thomas/Marco on the Bass) on bass; and Jim Cooper (Bigger Thomas) on drums. I sing back-up vocals and play a bit of melodica. We're doing this out of our shared respect and love for the extraordinary amount of good music produced during the New Wave era (we're not doing cheesy, ironic covers). And we want to have some fun in the process. In preparation for the night (I spin records before and after each band at most every Electric Avenue night), I pulled a ridiculous amount of ska, New Wave, and post-punk vinyl off my shelves (and only ended up playing a small fraction of it that evening, natch), but was wary of mixing in too much non-ska (I really wanted to play Made for TV's "So Afraid of the Russians" followed by Fear's "Let Have a War," and The Selecter's "Selling Out Your Future"--since the flip side of the odd-ball, day-glo component of New Wave was Cold War paranoia and dread of nuclear annihilation). Up to this point, the Electric Avenue nights have been exclusively ska and reggae affairs, so I was concerned about alienating the regulars (though in retrospect, Beat Brigade brought in an older crowd that had experienced their high school days years during the glory days of New Wave, so they would have dug it; as it was, many people approached me to comment on how much they loved a song choice that I'd made...). Even though the rest of the members of Rude Boy George have been performing for years in Bigger Thomas, Beat Brigade/The Toasters, and Across the Aisle, several of my bandmates were visibly nervous--particularly without a warm-up--so I actually felt kind of relieved being in the same boat, jittery nerves and all (in the "(Keep Feeling) Fascination" video, you can see that I can't stand still during the intro). Plus, I'd been in enough plays/musicals throughout my schooling, as well as sung in amateur and professional choirs, to have experienced plenty of stage fright and to know that anxiety and adrenaline end up focusing and powering you through your performance. Nonetheless, it was still a bit of a shock to find myself up in front of the mic without that last practice. But there was no time for fear--all my attention was on hitting my notes and marks, and before I knew it, we'd made it to the end of our set (Culture Club's "Church of the Poison Mind"). I'd had a blast performing and it had certainly helped to be in front of such a friendly and enthusiastic crowd of about 100 people that was really into Rude Boy George's mission and sound (to everyone that was present--thanks so much for your support!). The next Rude Boy George gig is on Saturday, June 1st at a special Electric Avenue show--stay tuned for more details. We'll have a few new covers ready by then, too! Over the past few months, Beat Brigade have been recording an album, and whatever magic they've been working in the studio has definitely infected their live show. I've seen the band several times over the past year or so (after completely missing them in the 1980s) and each performance ends up topping the previous one! Between the superb Specials/Costello/Clash influenced original cuts and the incredible musicianship of the band (the unstoppable rhythm section of Ramsey Jones on drums and Frank Usamanont on bass; Dave Barry on keys; Carmelo Dibartolo on guitar and vocals; Erick Storkman on t-bone; Michael Kammers: sax; and Jack Hoppenstand, guitar, who was unable to perform this night), Beat Brigade are one of the finest and most powerful acts on the ska scene. Their 80s NYC ska vibe still sounds brilliantly unique and contemporary after all of these years (even back then, their mix made them stand out from their competition on the NYC ska scene; dig out "Armageddon Beat" off 1985's NY Beat: Hit and Run compilation or "Try and Try Again" off their 1987 split single with The Toasters--it's like nothing else at the time). To use an archaic (and late Cold War era), but completely appropriate and accurate phrase, Beat Brigade are the bomb! Here are the Beat Brigade videos that I shot. Thanks to Dave Barry for shoving me at one point! Ska melts in your mouth, not in your hand! Lastly, I want to take a moment to publicly thank my good friend (and another ex-Moon Records employee) Adam Liebling for underwriting part of this Electric Avenue night in celebration of his birthday. Adam generously paid for the admission of the first 40 people through the door (all of which went to help pay for the bands' performances that night) and he gave out amazing birthday party goody bags to friends as well as several random people in the crowd! My own personalized and much appreciated goody bag included a bag of white and purple M and Ms with Walt Jabsco, the Beat Girl, "ska," and "Electric Avenue" printed on them; a Derrick Morgan CD; Madness and Buzzcocks badges; and a "Great Performance" ribbon (in anticipation of my bit with Rude Boy George, which I hope I earned). And I later learned that Michelle Ska received a goody bag with a Moon Ska zippo lighter--only 250 of those were made (mine is squirreled away in an undisclosed location!). If you haven't guessed, Adam is the man! Check out the spectacular photos of the bands taken by Bryan Kremkau of Skapunkphotos.com--you can see Rude Boy George here and Beat Brigade here. Another Ska Crowd Funding Project to Back: The Prizefighters' "A Musical Knockout in 3 Rounds!" If you've been reading this blog with any frequency, you already know I'm a big advocate/supporter of crowd funding as the model that ska bands should utilize in this age of rampant, illegal file sharing for pressing up vinyl and/or CDs and delivering it to those fans who still want and value tangible recorded music. So, here's a new crowd funding project from The Prizefighters that is very worthy of your hard-earned cash. I've already made my pledge, so I'll be receiving all three Prizefighters 45s (more singles to play at Electric Avenue! ), their new CHema Skandal-designed t-shirt, stickers, and a badge! There were no computers, no air-conditioning, just the hot hum of the reel-to-reel churning through the 95 degree heat. Just like how the tape rolled through the sticky air of Jamaica in 1964, The Prizefighters found themselves transported to that golden era, cooped up in a Minneapolis recording studio in the Summer of 2012. The goal was to record a trio of 45s, each platter serving as a continuation of the “rusty-dusty” sounds called ska, rocksteady, and reggae. Using 100% analog equipment, The Prizefighters tracked six new tracks, the ska scorchers “Lost at Sea” and “One Thousand Words,” rocksteady laments “No Use Crying” and “Night Breeze,” and early reggae standouts “Cold Shoulder” and haunting instrumental “Sukeban” (hear samples of each song in the video below). You can literally hear the heat and thick air pouring through your headphones as each track spins away. The Prizefighters utilized vintage Jamaican recording techniques to achieve a sound so authentic there would be no question that these new tunes belong in the oft-overlooked canon of Jamaican music history. The Prizefighters have been at the top of the Twin Cities ska scene for the past six years, playing all across the Midwest bringing the sounds of young Jamaica to the masses. They self released their debut album Follow My Sound in 2010 and saw Jump Up! Records pick it up and help release the special edition vinyl LP in 2011. Recently, The Prizefighters have had the honor of working with Jamaican legends Stranger Cole, Charlie Organairre, Roy Panton, and Yvonne Harrison, serving as the primary backing band for Chicago's Jamaican Oldies Weekends. A Musical Knockout in 3 Rounds! will be the first 45rpm releases from The Prizefighters. This record series highlights brand-new recordings from The Prizefighters, released on the format most appropriately suited for vintage Jamaican music: 45rpm vinyl. 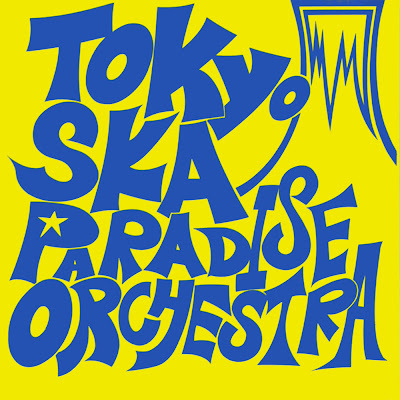 In addition to the vintage production style and soul put into every tune, each of the three records features unique label art designed with a 60s Jamaican aesthetic, released on the band’s own Prizefighter Sound System label. This is the real deal, folks, and The Prizefighters have pulled out all the stops to deliver an authentic listening experience to fans of vintage Jamaican muzik the whole world over. You had better act fast if you want a piece of these platters, though. Each release will be limited to 500 copies, and once they're gone, they're gone for good! Not only is this a chance to get your hands on all records in the series before they're officially released, you'll have the opportunity to score some really choice swag. This is the first time we've ever set up a true mail-order store, so if we've never come to your town here's your first chance to pick up our merch. We're launching new t-shirts designed by the multi-talented CHema Skandal! (check out his work HERE), new stickers, test pressings of each record, and a truly one-of-a-kind high quality DVD of our performance with Roy and Yvonne from Chicago's Jamaican Oldies Weekend. For you high rollers, check out the perks we're offering, such as The Prizefighters VIP card, granting you free admission to all Prizefighters shows for an entire year! Check out all of the reqard packages to find one that puts you in a dancing mood. ReadJunk Interview with The Duff Guide to Ska! For anyone interested in my history with Moon Records and 7 Wonders of the World Music--and how I became involved with ska in the first place--you may want to read this new interview I did with Steven Bauer of ReadJunk. First 40 people admitted free (courtesy of Adam Liebling)! As you may know, original Mouseketeer Annette Funicello passed away earlier this week at age 70, due to complications from multiple sclerosis (read The New York Times obituary here). What many people are unaware of is that she had a hand in introducing ska music to mainstream, whitebread America in the 1960s. Back in September of 2011, I reviewed the "Doin' the Popcorn Ska" 7" EP, which included Funicello's take on Byron Lee and the Dragonaires' "Jamaica Ska," and ended up writing about how Disney's star came to record a genuine ska tune of all things (and then how she revisited the song in the late 80s with Fishbone). 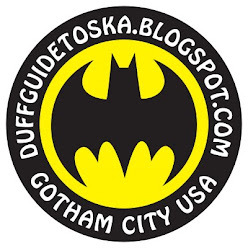 To read this Duff Guide to Ska entry, go here. Duff Review: Madness "Oui Oui Si Si Ja Ja Da Da"
If Madness had opted to close up shop after releasing the magnificent The Liberty of Norton Folgate (read my thoughts on this album at Reggae Steady Ska, but essentially its theme is twofold: how the geography and history of a place influences generations of people who live there, and that people can only be truly free to be themselves in a diverse, multicultural, urban environment), I don't think anyone would have blamed them for going out on such an extraordinarily high note. But now comes the follow-up to that wonderfully complex concept album, Oui Oui Si Si Ja Ja Da Da, whose approach is much more back-to-basics for the band: turning out masterful ska and pop gems--and the results are pretty spectacular. But here the Nutty Boys' advice on love and how one might go about leading a happy and contented life is much more sane and practical. They may be middle-aged, international pop stars, but (obviously) they're only human and still have the same kinds of feelings and profound issues in their lives as we all do. Lest you think this album solely consists of love songs, it's equally as much about aging--and looming mortality--and the knowledge/perspective that comes with all that life experience (good and bad) that you want to use yourself or pass along before they're putting pennies on your eyes. You'll make mistakes and you'll come close"
I'll love you when you grow old"
Then there are the less successful attempts at making a love connection, as depicted in "Never Knew Your Name." The song starts out very much like "Embarrassment," but then kicks into "CHiPs"/"Love Boat" era schmaltzy 70s disco (dig those strings, baby!) that's all sleek, shiny surface, but full of great sadness and emptiness beneath (think Studio 54). It's perfect for this tale of failing to be brave or foolish enough take a risk at happiness and love (and hating yourself for it). Will I ever see you again? I wonder? Will I see you again? Oh girl I wonder? But I ended up alone"
(This must have been written about an episode from a pre-internet/Facebook time--had it been now, he at least had her name and could have looked her up, right?) 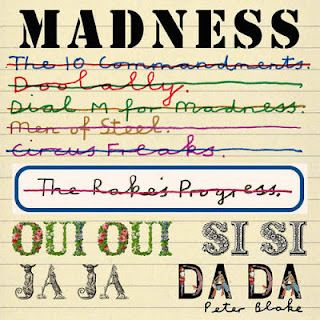 Few pop bands do pain felt down to your soul as well as Madness. In other dysfunctional relationships, the slinky reggae of "Kitchen Floor" strongly suggests that the all the talk about doing "it" in various spots around the house is sexual in nature, but a close reading of the lyrics reveals that the "it" refers to crying--she's crying for the singer, who knows that he has great power and completely possesses her (even though she strays from him, she always comes back). But I'm still on my feet"
Yet another minor AM radio pop masterpiece in Madness' cannon is "Leon" (a story of reform school bleakness in the vein of "Land of Hope and Glory") about an alienated, institutionalized, and possibly autistic kid longing for a one-way ticket out of town to freedom. With its "Got to Get You Into My Life" horn arrangements and lush harmonies, this wouldn't be out of place on The Beatles' Revolver or Rubber Soul. Really stellar. He feels like running out, and owning all the world"
"Death of a Rude Boy" is a tribute/elegy to a real (the mention of a "stepping razor" could imply that it's about Peter Tosh) or imagined true believer (and will probably end up being played at many a fan's funeral in future years). While it's an amazing reggae track with a UB40-ish, computer-sounding rhythm section, it's also quite unusual in that it wanders far from Madness' British, music-hall approach to ska. (So much so, that the rap/toast in the middle of the song reminds me a bit of the Gorillaz's/Del Tha Funkee Homosapien's collaboration "Clint Eastwood" or "Feel Good, Inc.") I really dig this song, but it was a strange choice for the advance teaser for the album. Make sure that love is in your life"
Then you might as well be dead"
I've written it before, but it's worth repeating for those who haven't yet taken note. 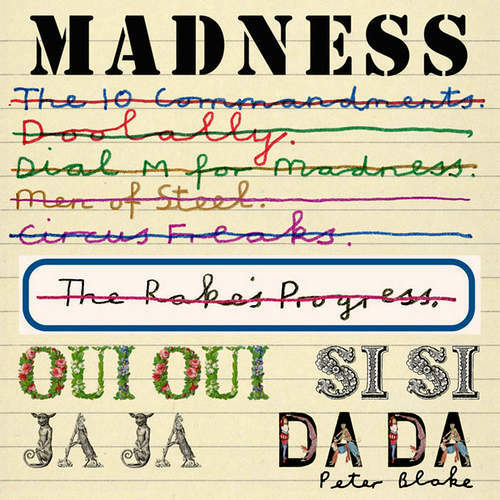 While many of their 2 Tone era peers are content to mine the ska nostalgia circuit (not that there is anything wrong with that--within some limits), Madness continue to move boldly and brilliantly ahead. May their nerve stand fast and their creative well never run dry! The Debut of Rude Boy George at Electric Avenue (4/13/13)! I have to admit that I find it kind of weird that I've joined my first band at this point in my life--I'm in my mid-forties, for Pete's sake! I've always been a late bloomer, but this is kind of ridiculous. Perhaps it's a sign of my stunted emotional growth (which is frozen somewhere in my twenties) or a manifestation of a mid-life crisis (with mortality creeping closer with every year). But anyone who's acquainted with me on a personal level knows that I've been a big music fan pretty much from day one. In the first half of the 1970s, The Beatles and Monkees completely captivated me (The Beatles were always on WNEW FM and I had my treasured red and blue compilation LPs that I played on my parents' old portable/suitcase record player--I actually used it years later at the beginning and end of The Toasters' "2 Tone Army" music video that I shot; and The Monkees were in heavy syndication in the New York area and I would religiously tape their songs off the TV with my trusty mono Realistic/Radio Shack cassette tape recorder for playback later). In retrospective, my middle school years were a little bleak (um...gulp...Billy Joel, The Who, ELO, Yes--while most of my friends were into KISS and Aerosmith; I was actually in a professional boys choir/school at the time and it turns out that our headmaster turned down an opportunity for us to sing on one of KISS's records! ), but then I discovered the first strains of New Wave through The B-52s, Devo, and The Ramones! And my high school years coincided with the incredible explosion of New Wave/post-punk in the UK (on the airwaves here on WLIR) in the first half of the 80s (fave bands included The Clash, Echo and the Bunnymen, New Order, and Simple Minds)--and this was also the time that I discovered 2 Tone, even though it was pretty much after the fact (though I was crazy about The English Beat's Special Beat Service and The Special AKA's In the Studio, both decidedly non-ska albums that came out during that period). At the end of high school/beginning of college, I had my first incredible encounters with American ska through Fishbone, The Untouchables, and The Toasters--and post-college was lucky enough to work for Moon Records for close to a decade (read about some of my adventures in ska in college and beyond here and here). So, while I'm used to being a fan and working behind the scenes, this is new territory for me and I'm really thrilled and humbled to be a small part of a group that includes so many incredibly talented musicians. It probably should be mentioned that we're doing this out of our shared respect and love for the extraordinary amount of good music produced in the New Wave era (we're NOT doing cheesy, ironic covers). And we want to have some fun. That's our agenda/mission statement. Simple as that. Rude Boy George's debut show is on Saturday, April 13, 2013 at Electric Avenue (at Characters NYC, 243 West 54th Street, between Eighth Avenue and Broadway in Manhattan--doors open at 8:30 pm). The bill also includes two of our favorite bands: Across the Aisle (ska/pop/punk) and Beat Brigade (1980s NYC ska)! The first 40 people in the door will be admitted for free, thanks to generous underwriting by Adam Liebling, who is celebrating his birthday at this gig! The Facebook event page for this show is here. So, if you like ska or New Wave--or both (like me), this is a show you don't want to miss! It's gonna be a blast! Like many ska fans of my generation who were in high school in the first half of the 80s, I first heard (and loved) Harry J's music via The Special AKA's "Too Much Too Young" EP--side two, of course, features a super-charged cover of "The Liquidator" in its "Skinhead Symphony" (which also included The Pioneers' "Longshot Kick de Bucket" and Symarip's "Skinhead Moonstomp"). But as soon as I picked up one of my first (and stellar!) Trojan compilations, Monkey Business, I heard the real deal and was a Harry J fan for life (if you can find it, one of the best compilations of his work is Return of the Liquidator: 30 Skinhead Classics 1968-1970). I've borrowed the Harry J bio from AllMusic and posted it below (there's also a great entry on Harry J in Mike Alleyne's "The Encyclopedia of Reggae")--and you'll also find some videos of some of his songs and productions, including Bob and Marcia's "Young, Gifted, and Black" (one of the first reggae tracks to use strings, according to "The Virgin Encyclopedia of Reggae") and The Heptones' sublime "Book of Rules." Our condolences go out to Harry J's family, friends, collaborators, and fans worldwide. Harry Johnson, or Harry J as he's better known to fans around the world, was a prolific producer of top-notch reggae, and continues to run one of Jamaica's most legendary studios. Born in Kingston, Jamaica, in 1945, after leaving school Johnson worked as an insurance salesman. Interest in music, however, led him to schedule time at Studio One in 1968 to record the vocal group the Beltones. The resulting single, "No More Heartaches," was a hit, the first of many. Lloyd Robinson's seminal -- and much versioned -- "Cuss Cuss" arrived the following year, as did a slew of sizzling instrumentals from Johnson's studio band, the Harry J All-Stars. Their first, 1968's "Smashville," mashed up the sound systems, but it was the phenomenal success of "Liquidator," a number that stormed into the Top Ten of the British chart in late 1969, that cemented his reputation. The British reggae label Trojan promptly handed Johnson his own imprint, Harry J, and a slew of the All-Stars' instrumentals saw release. Although none of them repeated "Liquidator"'s success, the songs went down a storm with the skinhead crowd. Of course, the instrumentals were actually backings of vocal cuts, spiffed up by soloing organs or brass, and those vocal numbers were exciting plenty of attention, too. During these early years, Johnson oversaw excellent singles from the Cables, Winston Jarrett & the Flames, Joe White, Bob Andy, and Marcia Griffiths. When the latter two artists joined forces in duet, Johnson's fortune was made, with Bob & Marcia's cover of "Young, Gifted and Black" sailing into the U.K. Top Five, with "Pied Piper" following it up the chart. With the money amassed from those two hits, Johnson opened his own 16-track Kingston studio on Roosevelt Boulevard. A series of masterful albums emerged across the rest of the decade, all overseen by Johnsonhimself. The Heptones' Book of Rules and Cool Rasta, I-Roy's Crisus Time and Heart of a Lion, Zap Pow's Revolution, the Melodians' Sweet Sensation, Delroy Wilson's Last Thing on My Mind, Dennis Brown's So Long Rastafari, and Sylvan Morris' Cultural Dub and Jah Jah Dub sets are just some of the highlights. The Wailers recorded their first four albums for Island at Harry J's, with Burning Spear and Augustus Pabloamong the many other top-drawer artists who set up shop there. However, it was a young emerging singer who returned Johnson to the U.K. pop chart at the end of the decade. Sheila Hylton first hit with "Breakfast in Bed," and her follow-up, "Bed to Big Without You," was even bigger. In the new decade, the producer was working mainly with DJs, overseeing excellent material from Charlie Chaplin, Uglyman, and Little John, with Computer a fine roundup of these more digitized-sounding productions. By then, Johnson's interest in production was waning, or perhaps he just couldn't find the time anymore, so busy was he looking after the studio, which remains a mainstay of the Kingston music industry.